Expect More Ministerial Instructions - Gateway to Canada | Canada Immigration Consultancy! According to this news release from Citizenship and Immigration Canada website, Evaluation Shows Ministerial Instructions are Relevant and Necessary. Thus, expect more Ministerial Instructions. 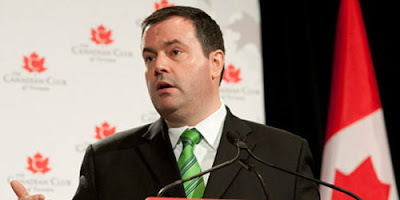 "“The evaluation confirms that it was right and necessary to take measures to manage the sheer volume of applications we receive,”" said Citizenship, Immigration and Multiculturalism Minister Jason Kenney. In 2008, the Government of Canada introduced changes to the Immigration and Refugee Protection Act through Bill C-50 (the Budget Implementation Act) to tackle the backlog of federal skilled worker (FSW) applications. At the time, more than 640,000 people were waiting to be processed in the FSW category. In order to increase labour market responsiveness and overall efficiency, the Minister was authorized under Bill C-50 to issue special instructions to immigration officers to limit the number of applications processed, accelerate some applications or groups of applications, and return some applications without processing them to a final decision. When Ministerial Instruction 1 (MI-1) was issued back in November 2008, it was implemented retroactively to February 2008. As a result, many applications were returned unprocessed. They may be doing the same thing for FSW applications filed before February 27, 2008. This is Citizenship and Immigration Canada's solution to FSW backlog.